Scottish countryside is a pleasure by itself, no matter if you walk or travel by train, bus, bike, or car and observe it from there. The only thing that can destroy the joy of it, is the unpleasant Scottish weather, strong wind, fog and rain. However, with sunbeams the landscape is a feast for the eyes. 1. Oban and Connell Bridge. Oban, often nicknamed as seafood place of Scotland, is a small town of just 8,200 inhabitants, an important ferry port situated in a beautiful scenery of Firth of Lorn. Oban hosts a Gealic Royal National Mod festival every year since 1892. 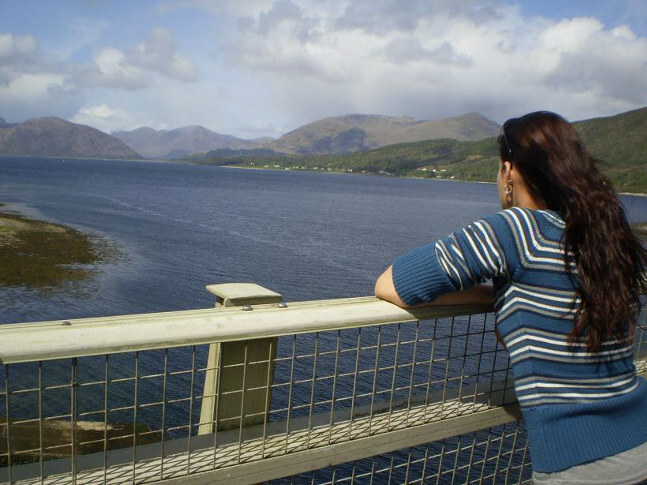 Six km from Oban, there is Connell Bridge which is my fave bridge in Scotland overlooking Loch Etive and mountains. 2. 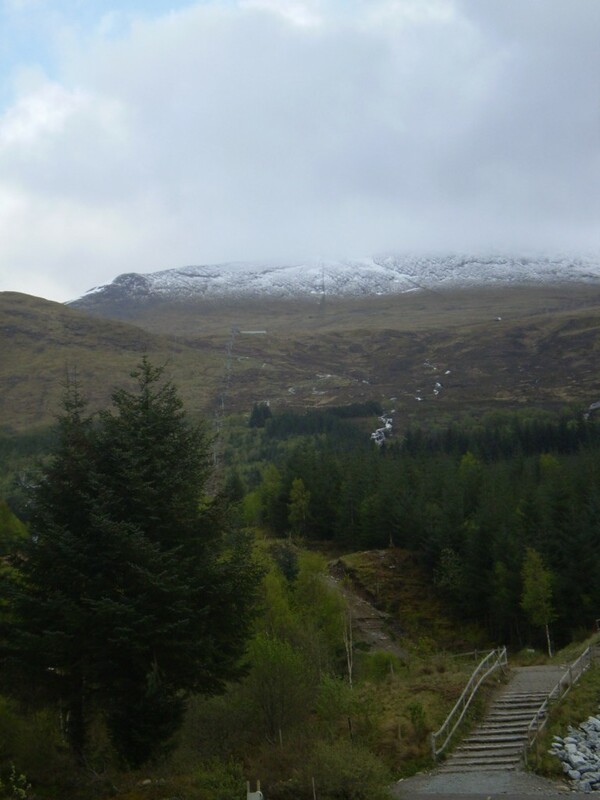 Fort William is a very touristic place, just 10, 000 inhabitants, great for climbing, mountain biking, (famous for its nearby Downhill Mountain Bike Track and Witch’s trails, both attracting many international competitors every year), hillwalking and to get to Ben Nevis. 4. Loch Lomond – in my opinion it’s a nicer lake than Loch Ness, especially its surroundings and many little colourful boats, if you don’t count the unique Urquhart ruins at Loch Ness. 5. Scottish Highlands and Ben Nevis – the highest mountain in the British Isles with its 1,344 m. Usually called just The Ben. There is a Distillery at the bottom of the mountain and there was an observatory on the summit built in 1883 to understand better mountain weather. It was closed then in 1904 due to not enough Government funding and nowadays only ruins remain. To climb Ben Nevis, the majority of people use the Pony Track, which is the simplest way to get to the peak. It was built at the time of the observatory to allow ponies to carry up supplies there, hence the name. Still remains very well maintained. Usually there are bad weather conditions over there, but if you are lucky and it’s sunny, you get a view of up to 190 km. 6. Isle of Arran – it is said to be little Scotland, where you can find all the different Scottish landscapes in one. 7. Ailsa Craig – a big volcanic rock rises up to 340m from the sea level in the Firth of Clyde. Now the only inhabitants are birds and cute puffins. I loved watching it from Prestwick coast. 8. Culzean castle – one of the nicest Scottish castles. 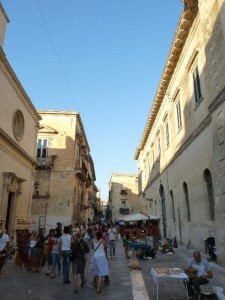 Its shops and restaurants are open in summer every day. The castle offers accommodation, too. What you can’t miss here is a walk through its amazing gardens. If you are planning a wedding, this would be a perfect romantic place. 9. 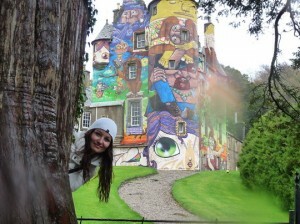 Kelburn castle – it is a castle of childish dreams – covered with graffiti of million colours. Four Brazil artists stayed over in the castle for a month to draw the graffiti. Since it was built in the 13th ct was inhabited by the same Boyle family. 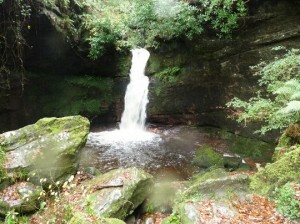 There are very nice waterfalls next to the castle and the forest contributes to its fairy-taleness. Beautiful country. I would like to come back. 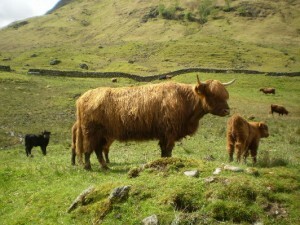 Yes, there is a lot to see in Scotland! I never thought I would say this but I do miss it! There’s so much more of Scotland we have yet seen. Can’t wait to explore more of this country. 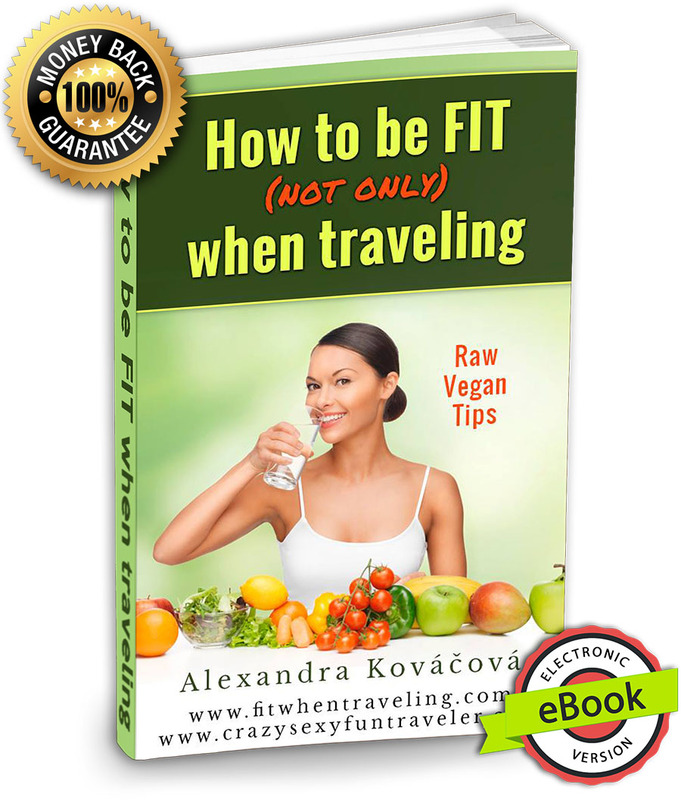 Thanks for your comment on our post! Thanks Tomo :))) Scotland has a beautiful landscape! i like these nice photos. Scotland looks SOO amazing! Your photos are great! I’m so excited to move there later this year!! 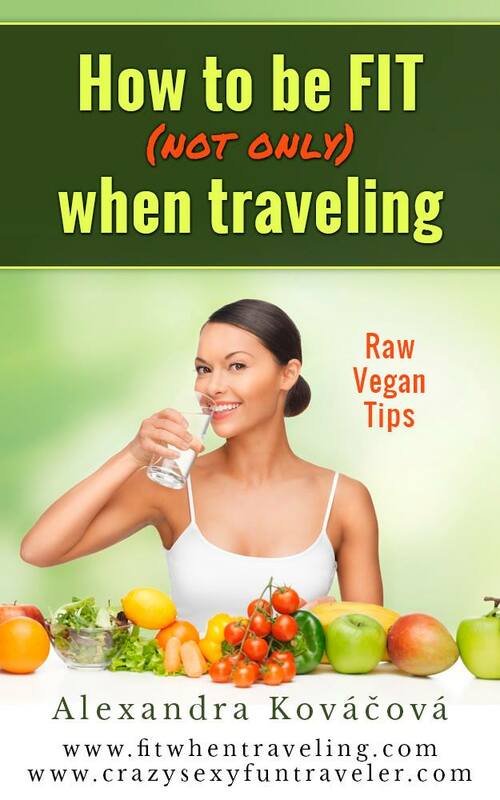 Thanks Michelle! Hope u gonna like it there, just be ready for strong wind! There are many people who visit a place just for the off-colour weather….lots of high winds and rough seas. I took a train ACPRail.com from York to Edinburgh. I took a cab a short distance to Musselburgh Race Course where I won a small amount of money — lucky me, I guess — then after two days in Edinburgh (Edinburgh Waverley station) to took the train to Dunkeld. No one at the tourism office I dealt with by email pointed out that the station is unattended. I was lucky to have almost at hand change to use the pay telephone to call a taxi. When all is said and done, vititing small villages is so relaxing and invigorating for someone who lives all year in a huge city. Dunkeld, Perthsire is a mecca for bird watchers. One of my sisters is still angry with me ’cause I didn’t bring back a wool sweater from Scotland…but I had not one inch of space in my bags. So, I’ll just have to pack more wisely and return to Scotland for that sweater in order to redeem myself. 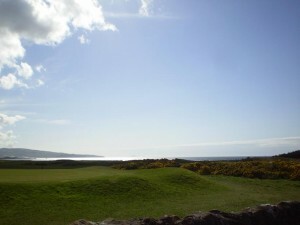 And yeah, Scotland is beautiful but u have to go there when it’s sunny, which is like max 20 days per year, so good luck! 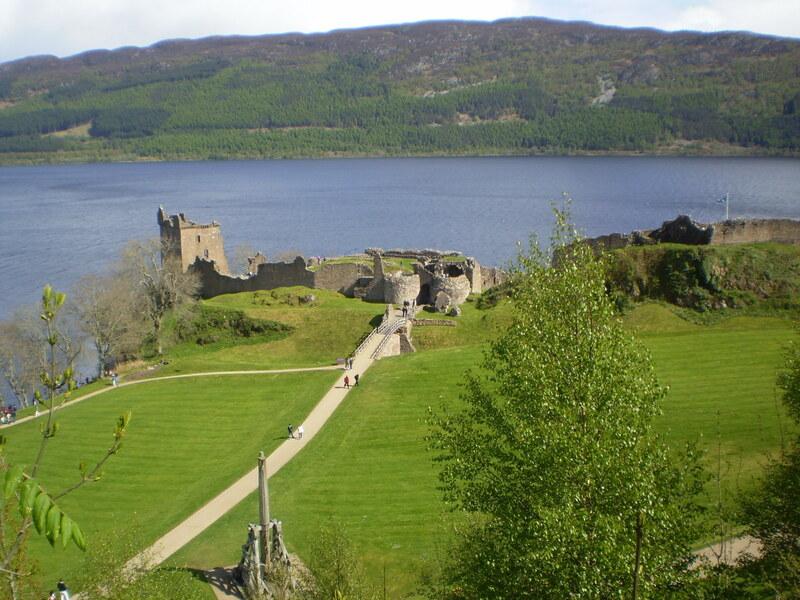 I’d love to visit Scotland, thanks for sharing these must things to see. Glad you didn’t see too many monsters!